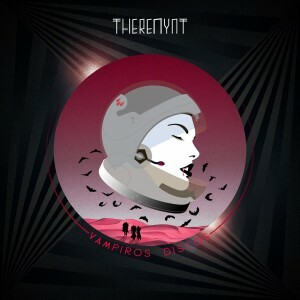 After Silenzio and Robotique de l’Amour- in french, Vampiros Discos is Theremynt’s third Ep- an electronic journey in Portuguese-tribute to Horror Brazilian Filmmaker Ze do Caixao and all the vampires movies that have accompanied us as teenagers such as Dracula and the Likes. Somewhere between dirty house, krautrock and deviant techno, it is an uplifting track made for the dancefloor . The three remixes are following the track’s original path pushing it to its edges: Andrew Claristidge from Acid Washed has given an interesting version both deviant and cinematographic, the Club Bizarre duet is offering a more techno version with obsessive bells while legendary techno producer David Carretta is immerging us into a new beat and rather technoish hypnotic tune. The result is a perfect DJ tool -worth trying on the dance floor in the middle of the night.